Spring isn’t too far away, which means many of us are starting to make plans for this upcoming spring and summer. Hopefully, those plans include at least one getaway to the stunning Napa Valley. The spring months in Napa, as the buds begin to break and the Vineyards and farms come alive again after a long and dormant winter, are nothing short of delightful. The summer months are busy, but packed with a variety of fun events and the same delicious wine and food you’ve come to expect when visiting us in Napa.  Whatever your reasons for coming and whatever your timing, now’s a great time to plan a getaway to our romantic Inn before our rooms are booked up. 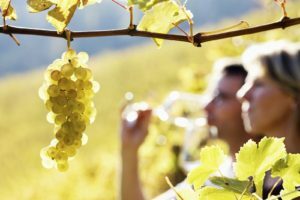 While you’re here, let us help you plan and arrange wine tours, so you can truly see the best of Napa. Book your room at our romantic Napa Bed and Breakfast today. Our favorite wine country experience to recommend to guests is the Napa Valley Wine Train. Riding the rails through Napa Valley will surely become one of your favorite memories, as you enjoy a delicious, multi-course meal and incredible scenery aboard a beautiful vintage rail car. The Napa Valley Wine Train offers a range of different experiences, but their winery tours are exceptional. 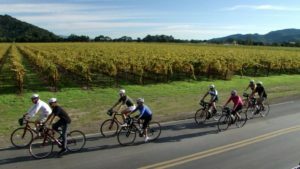 Napa Valley Bike Tours is a wonderful way to see Napa Valley, no driving required! Read our recent blog for more details. Join one of the daily Platypus Wine Tours, or arrange for your own private tour, and get ready to learn everything you need to know about Napa Valley’s wine culture. Enjoy Napa Valley from aboard a replica of a California Street Cable Car with Napa Valley Wine Trolley tours. Each tour includes transportation, visits to three or four wineries, a catered picnic lunch, and plenty of fun. 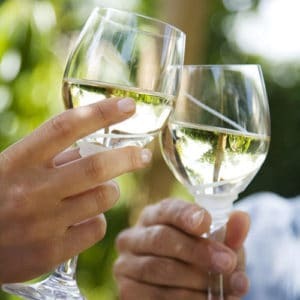 Beau Wine Tours & Limousine Service offers distinctive wine tours through both Napa and Sonoma. It’s a great way to discover the hidden gems of Napa Valley, and taste rare vintages you won’t find everywhere else. 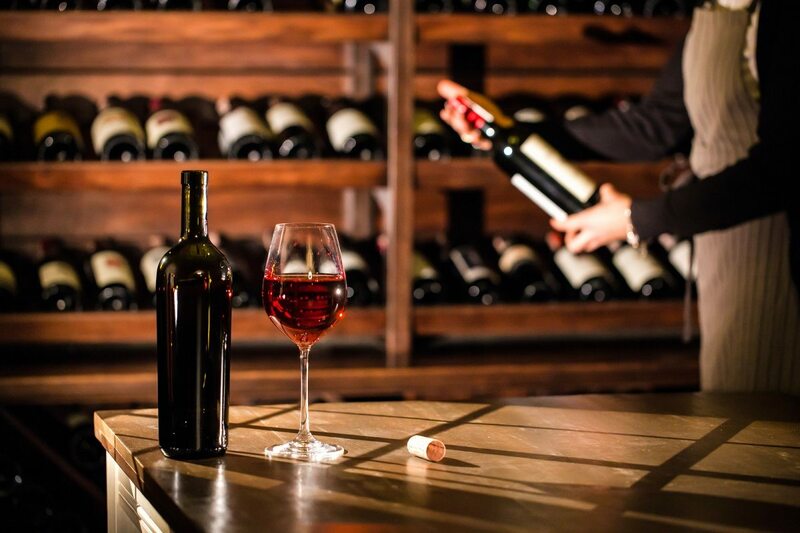 Their Intro to Napa Valley Tour is the best if you’ve never been wine tasting before, but they have some truly exceptional tours, including their Collector’s Tour for the serious wine connoisseur. Enjoy a Cave Tour & Barrel Tasting at Rutherford Hill Winery. Get a first-hand (or foot?) experience at Grgich Hills Estate. They have delightful wine tasting experiences throughout the year, but during the fall harvest also offer a unique Grape Stomp experience that is definitely something to try at least once. Enjoy some wine tasting and a scenic gondola ride at Sterling Vineyards. How about the ultimate chips and dip experience, paired with Domaine Carneros’ most treasured wines? These delicious sparkling wines are paired with three ½ ounce tastings of Tsar Nicoulai Caviar’s finest caviar. Be a Winemaker For a Day, and bottle your own custom blend at Raymond Vineyards. One of the best ways to experience the culture of Napa is by taking one (or more) of these wine tours. You’ll taste great wine along the way, and it won’t take you long to see why Napa Valley has become an enduringly popular vacation destination. Book your room at our Bed and Breakfast today.